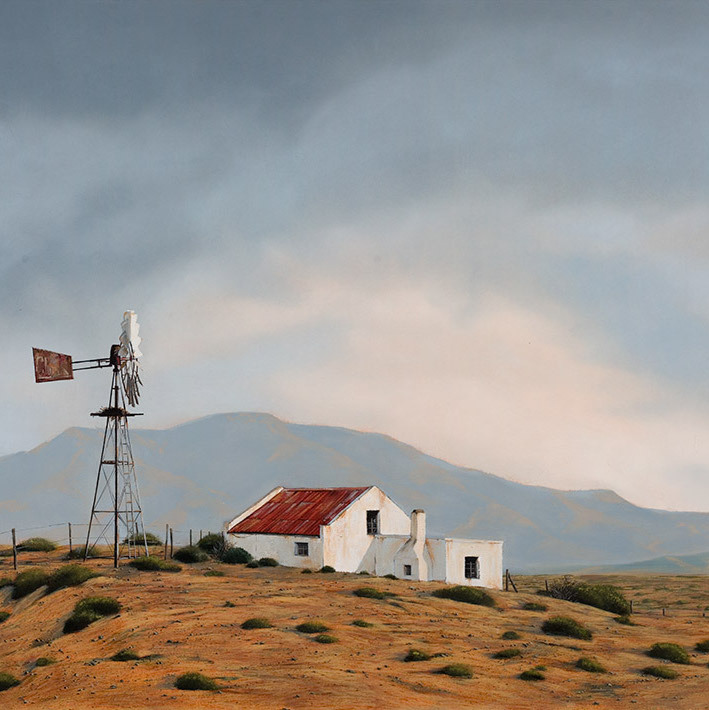 This piece was originally painted as an option for Ernie Els’ restaurant in Stellenbosch, called The Big Easy. However it was rejected in favour of a Karoo scene without a cottage. 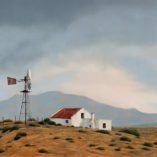 It depicts a moody sky and a typical farm building with its windmill and reservoir.